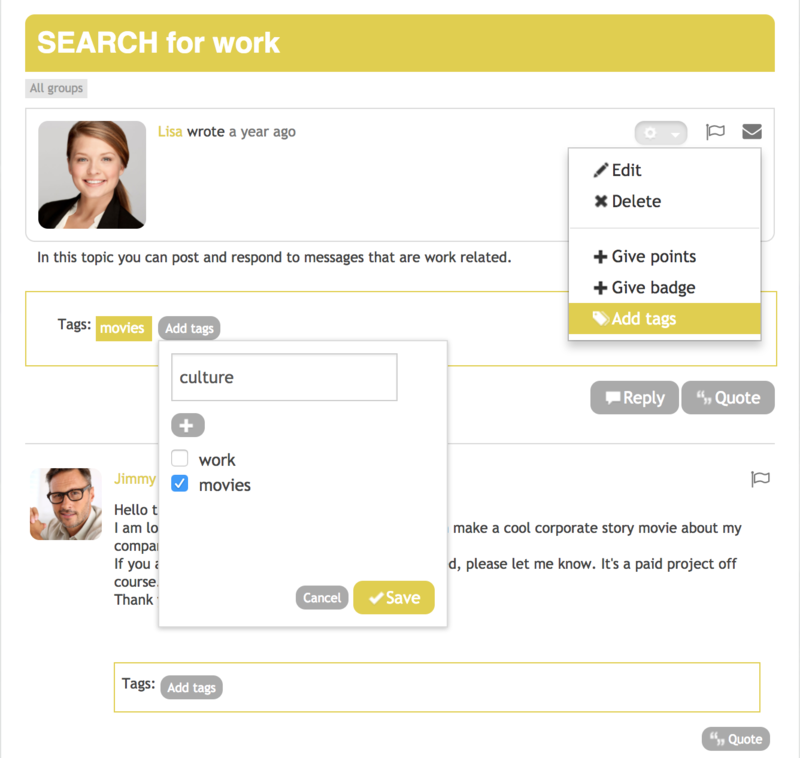 Tags are an exclusive feature of the Forum module and can be added to comments and posts within a topic. Only Community Managers can add and view tags. Tags are best used for reporting purposes and appear in Analyze reports in Admin. Tags are not searchable and cannot be seen by users. Removed tags will not remain in the section, but can be manually added back. When exporting Forum content in Analyze, all tags on posts will be included in the report.